We are going through a shift in technology which is unlike any other and with a faster pace that anybody had ever anticipated. 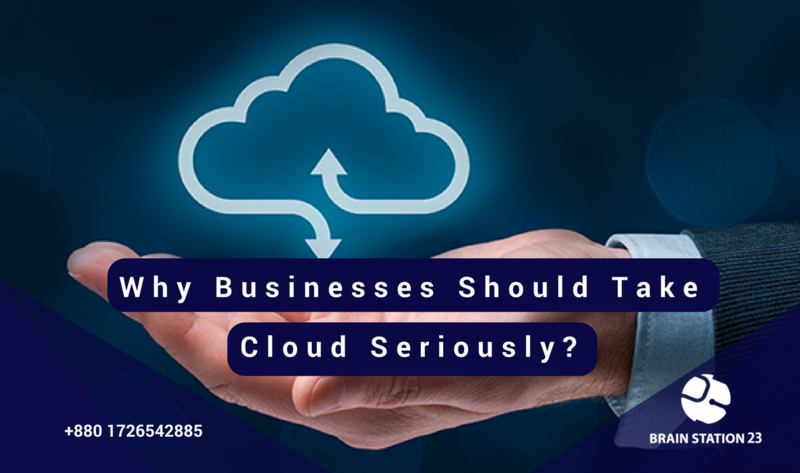 We can see over the period of time, very few companies are having or keeping their own data centers nowadays and we can say that cloud has become the norm for businesses these days. Servers, storage and other hardware resources are no longer the items to differentiate you from your competitors. Rather the real differentiator is how you’re using the data that you have or you can get. Cloud platforms like Amazon Web Services (AWS), Microsoft Azure, Google Cloud Platform has a whole range of offerings that have strong tractions with different customers. One important consequence is that access to sophisticated IT is more of a level playing field today. Therefore, rather putting much emphasis on hardware you get to wisely emphasize on business software and the whole operation. So what are the big trends in cloud computing businesses these days? Cloud computing has helped many enterprises transform their IT practices over the past five years and experts have agreed that the market is entering the second wave for public, private and hybrid cloud services. According to a Forrester Research survey, 38 percent of enterprise decision-makers said they are building private clouds, with 32 percent procuring public cloud services and the remainder planning to implement some form of cloud technology within 2017. The hybrid cloud is also heating up, with 59 percent of respondents saying they are adopting the model. Fueling this accelerating adoption is the need for enterprises to scale their compute resources to better serve customers. Gartner predicts the worldwide public cloud services market will grow by 18% in 2017 to $246.8B, up from $209.2B in 2016. Infrastructure-as-a-Service (IaaS) is projected to grow by 36.8% in 2017 and reach $34.6B. Software-as-a-Service (SaaS) is expected to increase 20.1%, reaching $46.3B in 2017. Source: Gartner Says Worldwide Public Cloud Services Market to Grow 18 Percent in 2017. Amazon Web Services kickstarted the first cloud computing wave when it launched basic compute and storage services back in 2006. Since then they have been the prominent provider of cloud solutions till today. As of February this year AWS is now operating at a greater than $14 billion run rate, with companies which have gone all in on the company’s cloud infrastructure. In Q1, 2017 AWS generated 10% of consolidated revenue and 89% of consolidated operating income. Net sales increased 23% to $35.7 billion in the first quarter, compared with $29.1 billion in first quarter 2016. Source: Cloud Business Drives Amazon’s Profits. So, we can easily see businesses spending a good amount of money on cloud IT infrastructure. So the question comes-Why should businesses take cloud seriously? There is this idea of the Fourth Industrial Revolution with this enormous technology advancements. Now there are 75.024 million internet users in Bangladesh according to BTRC census taken by the end of July 2017, with another 10 million coming and the way they use the internet will be different in the next few years. Whereas 3819 million internet users are there globally and in the coming years the use of internet is going to get changed into voice and images and, hence, we will see the whole play around Artificial Intelligence (AI), natural language processing, deep learning, machine learning and the Internet of Things (IoT). All these technologies are moving together and will provide benefits to industries, people and governments that were never there before. When you run a business online, the security of your data is the top priority. The AWS Cloud has numerous 3rd parties certifications including SOC 1,2, & 3, PCI DSS level 1, ISO 27001, FIPS 140-2, and more so you can feel safe knowing your services can be secure. Your e-commerce website traffic can fluctuate a lot. From quiet times in the middle of the night to campaign-driven, holiday season traffic spikes, Amazon Web Services provides cloud-based e-commerce hosting solutions that can grow and shrink to meet your needs. On the Internet, your customers can be anywhere in the world. With AWS you can have your e-commerce websites hosted in data centers in any of 16 different geographic Regions worldwide; so you can serve every geography with just a few mouse clicks. All AWS accounts get basic support for free. Higher levels of support are also available with SLAs for a response as fast as 15 mins, 24 hours a day, 7 days a week, 365 days a year. AWS provides a broad array of e-commerce applications hosted in the cloud for you to choose from. The AWS Marketplace makes it easy to start these applications from pre-configured machine images meaning you can get started fast. Find solutions from the Amazon Webstore, Magento, OpenCart, Spree, and more. With AWS’s comprehensive set of on-demand compute, storage, database, and application services, you can easily deploy and maintain apps that always run fast. AWS is a language and operating system agnostic platform. And you get to choose the development platform or programming model that makes the most sense for your business. Different parts of your app require a different computer, memory, and networking configurations. AWS offers 32 instance types with different amounts of computing, memory, I/O performance, graphics hardware so you can choose the ones that work best for your app. AWS offers both Linux and Windows instances and gives you root access to each one. Automated scaling makes it easier to administer applications with variable demand. When traffic increases, our Auto Scaling service will launch additional instances to respond to the demand, and our Elastic Load Balancing service will distribute the increased load across your instances. When demand decreases, Auto Scaling can shut down idle instances, saving you money. With Simple Storage Service (S3), you can add any amount of content and access it from anywhere. Additionally, for static websites, you can host directly from S3 with no additional charge. So it’s like AWS and other cloud platforms are offering endless opportunities and direction in front of you to give your business the ultimate boost that it demands. I would say anything and everything that All these cloud platforms have to offer. From consultancy & billing support to application development you can name any services of AWS that you want from us. We’ll provide you the support for having a real-time demo so that you can justify yourself the services & solutions absolutely free of cost. The main agenda is here to help the whole ecosystem grow and we believe we can only grow when you are also growing on the larger scale. Startups do love cloud technology as it opens up many easy and affordable solution for their businesses while they are busy on sustaining in the market and scaling up their businesses on a larger scale. And to help those startups out AWS is playing a responsible role. Additionally funding the capable startups by providing up to $1000 USD tier without any conditions. [/vc_column_text][/vc_column][/vc_row][vc_row][vc_column][vc_single_image image=”2159″ img_size=”full” add_caption=”yes” alignment=”center”][vc_video link=”https://youtu.be/2AfKBM7wK0Q” align=”center” title=”Redington Cloud Day 2018″][/vc_column][/vc_row][vc_row][vc_column][vc_column_text]In collaboration with Microsoft (Microsoft Azure Cloud Computing Platform & Services) for industry professionals on Tuesday 25th September 2018, we had organized an event on Machine Learning & Artificial Intelligence technologies. Cause we believe in future tech evolution, therefore, need our industry to be ready for the coming blessings. Cloud is the ultimate solution for present and future businesses to scale & sustain in the long run. And the wise ones are already on board or have already made up their mind. So what are you waiting for?